Pendo makes software loveable. 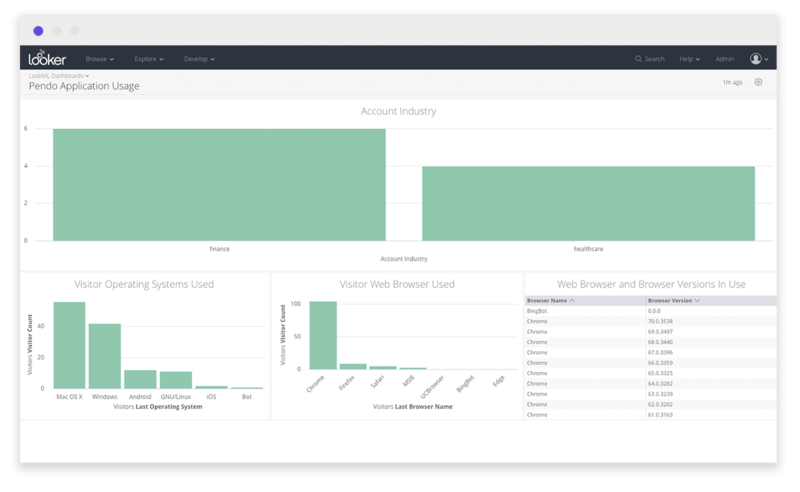 Their offering is designed for businesses that have web and/or mobile applications to simplify collection of analytics data about how application visitors are using a business’s applications. 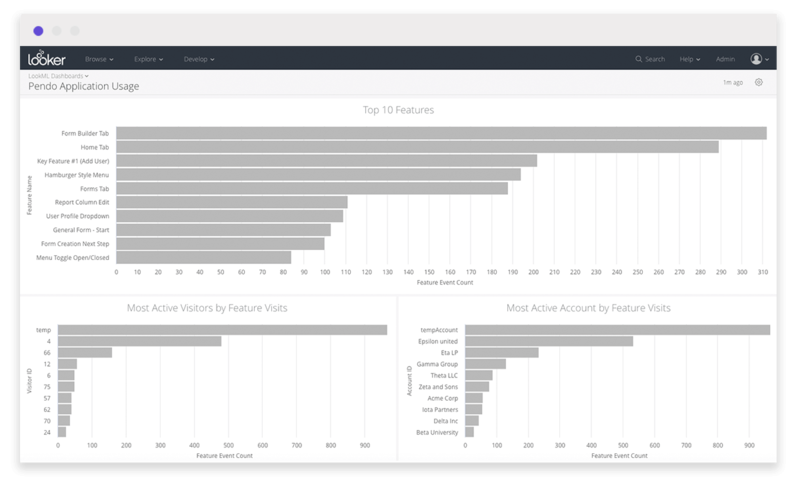 The Application Usage Dashboard in this Pendo Usage Block allows you to go even deeper into your Pendo Usage data to explore things such as Top 10 Pages and Features by Visitor and Account, and supporting data such as Account Industry, User OS, Browser, and Browser version counts. Using this information, you can gain insights into how your application is being used to help inform product direction. You can also use this data to leverage another key feature within Pendo - using Guides to drive behavior of users of your application.